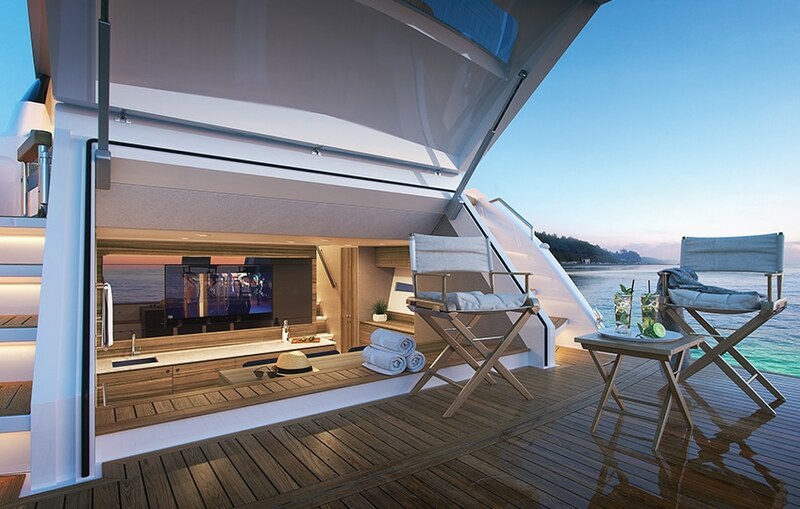 Integral in X-Series design is the versatile aft cabin space that enables high levels of custom-ability for owners to cater to the space to their specific requirements. Inherent in the Maritimo X60, the space enables an additional cabin accessible from saloon and swim platform, that can be arranged as Beach Club, Additional Stateroom, Tender Garage, Euro Galley and other custom options. Whether you go for the Beach Club, Aft Stateroom or Tender Garage, the Maritimo X60 is uniquely designed for you. Stemming from its illustrious Maritimo bloodline, the X-Series inherits the timeless elegance and unparalleled abilities in the water of its long-range motor yacht predecessors. Underneath the hand-crafted wood, fine leather and clever ergonomics you’ll find the best in nautical design that ensures simplicity, efficiency and cruisability. 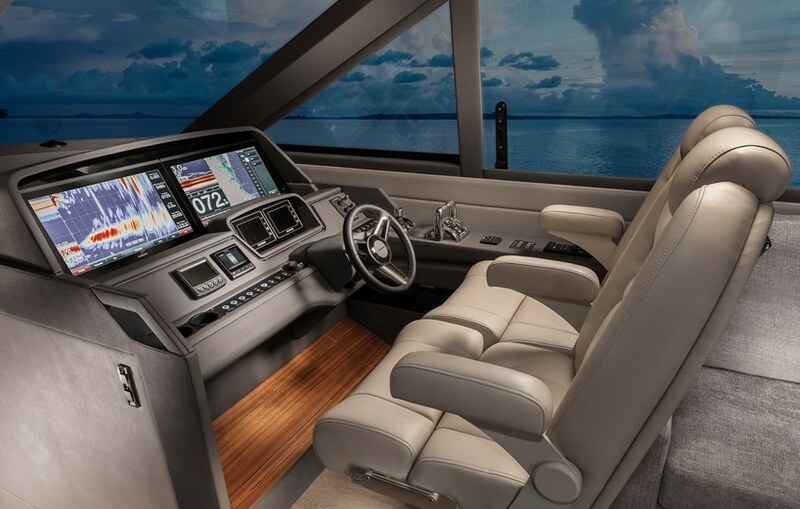 The all new Maritimo X60 is nothing short of spectacular. This new X Series added to the Maritimo line flawlessly incorporates a sleek stylish look with functionality. Holding true to Maritimo’s best qualities such as a seaworthy hull design, large fuel capacity and deep walk-arounds to the bow while integrating innovative options and flair. Once inside the X60 you will find a separate entrance to an aft cabin unlike any other boat cabin in the world. Maritimo reaches a new level of customization with this cabin available as a beach club, crew’s quarters or second master stateroom with an ocean view like never seen before! The Maritimo X60 is truly a sport yacht built with luxury in mind by a manufacturer that has a tremendous reputation of building a rough water capable vessel.